You already know that I like beans a lot. Here’s another bean-based dish. I particularly like this combo because of it’s high nutritional value. The amino acids are relatively balanced. And the taste is spectacular. 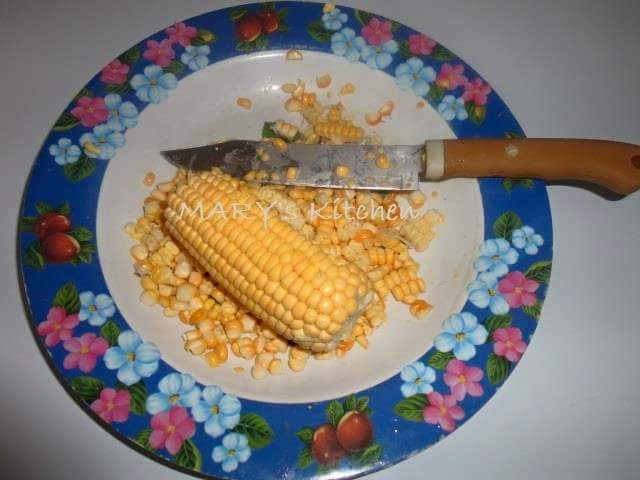 * With a sharp knife, carefully scrap the maize seeds from the cob. * Pour maize into pot and cover with water. 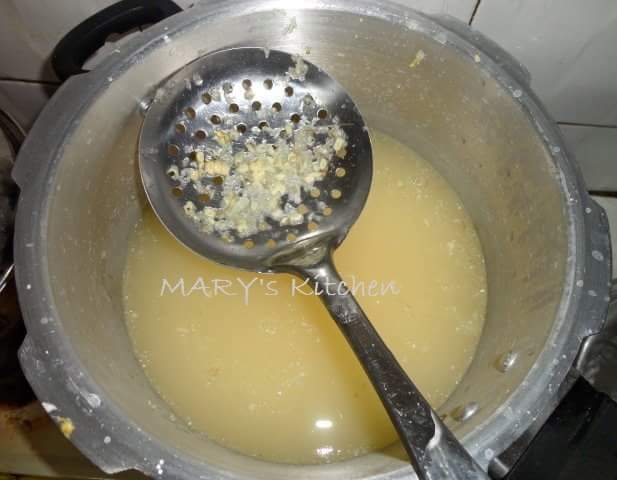 Remove chaff with perforated spoon. Cook for 30 minutes. (I cook in a pressure pot for 10-15 minutes). 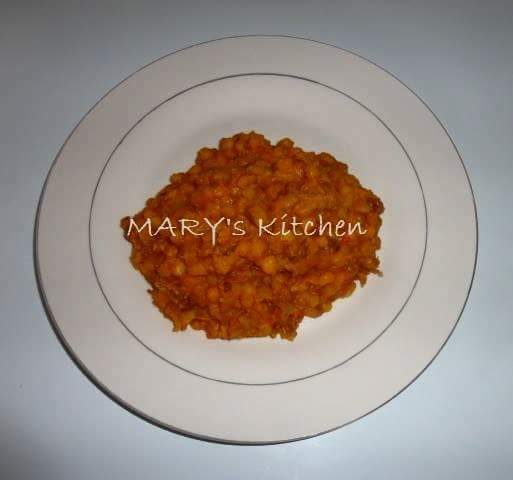 * Add picked, washed and presoaked beans into the pot. Cook till beans is soft. (With a pressure pot, beans should be ready in 20-25 minutes). * Chop onion and scotch bonnet finely. Add to the pot of beans-maize. Add pepper blend and palm oil. Add salt to taste. Cook for about 7-10 minutes on low heat.